While at a remote Swedish hotel, historian Jon Keller begins to enjoy the break from his wife and children, something he’d regret forever. His peace is shattered when a woman screams “They’ve bombed Washington” during the hotel’s breakfast service. Most of the room turn to their phones to check the latest news and soon it becomes clear that Washington wasn’t the only target and the world’s worst fears are confirmed, nuclear war has broken out. Fifty days later and Jon is still living at the hotel. Many people left hours or days after the news of the explosions began, running for family homes, to docks or the airport, but no one ever returned. Then the suicides started and almost two months later there are only twenty people left. When the water starts to taste strange and people start to sicken it’s no great shock but Jon and a couple of the other men head to the roof to investigate the water tanks. There they the body of a young girl. There’s no way the girl’s death could be an accident, moving the lid off one of the water tanks hand taken three grown men. They take the girl’s body to Tania, the only doctor amongst the survivors. She confirms the girl died almost two months earlier but it was impossible to give an exact date due to her being in the water for so long. Searching for some kind of justice, Jon sets his heart on finding out who the girl was and who killed her. Could the killer still be living at the hotel? 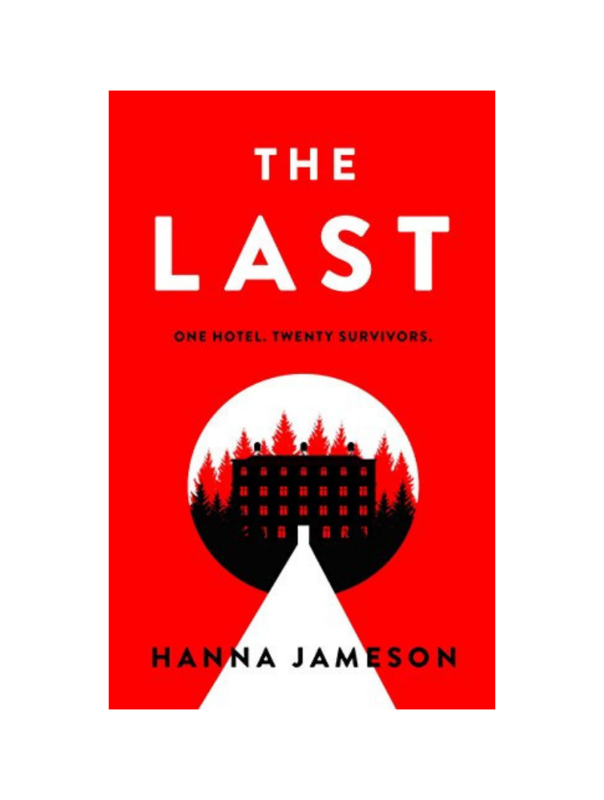 The Last by Hanna Jameson is a genre-bending mix of science fiction, thriller and murder mystery. Written from the perspective of the protagonist, Jon, the writing style is short, sharp and to the point, making it a fast read that pulls you in incredibly quickly. As Jon investigates the murder, he slowly unravels some of the stories behind the characters that have chosen to make their hotel their final home. Even without the storyline of the young girl, there is so much going on in this story. Although I’ve not seen it mentioned, I’m presuming Hannah Jameson has taken inspiration from the real-life Cecil Hotel that was plagued by tragedy for years. Knowing about this genuine hotel only added an extra level of unease while reading this fiction. Fast, tense, thought-provoking and unique The Last by Hanna Jameson is a book that I devoured in just a couple of evenings, becoming one of my first ‘must read’ books of the year. If you liked this you’ll love The Last Policeman by Ben H Winters.